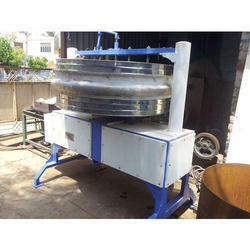 Exporter of a wide range of products which include selvin uruli roaster, uruli roaster and automatic roaster. Backed by a team of excellent professionals, we present a qualitative array of Selvin Uruli Roaster. Our products are popular for their attributes such as easy maintenance, power efficiency, and longer service life. These are appreciated by our clients for their time saving and high-speed operations. These are available at reasonable rates to our customers. With our immense expertize in this domain, we have been able to manufacture, supply and export a commendable array of Uruli Roaster. 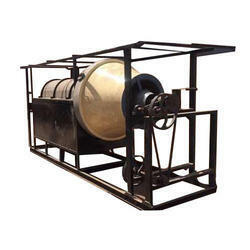 Offered product is manufactured in with with the industry laid quality standards. Client can avail this product at mos legit and reasonable price range with assurance of timely delivery. We used superior-grade raw material for engineering the offed product. 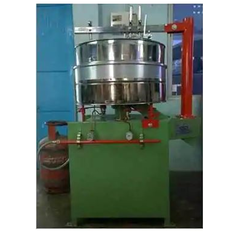 Aiming at the maximum level of customer satisfaction, we are involved in manufacturing, supplying and exporting of a remarkable array of Automatic Roaster. Our product is demanded in the market for its quality, resistance to the temperature range and quality in coherence with the international standards. Our product is manufactured with 304-grade stainless steel. Looking for Food Processing Roasters ?